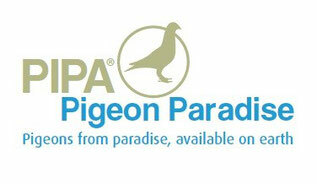 I will be selling my highly successful team of proven racing birds and breeders on www.PIPA.be from 18th to 31st January. My very best pigeons will be offered for sale; I am only keeping my pigeons of 2015. This pigeon breed has become famous for winning countless top prizes in the most demanding competitions. This is arguably one of the strongest pigeon breeds both at regional and at national level. I hope this exclusive PIPA auction will enable fanciers from across the world to achieve great success with our pigeons, just like Ellen and I have in the past few decades. We wish you all good luck with your future purchase and we wish you happy holidays and a healthy and successful 2016. My name is Joop Groenen and was born in 1948. My wife, Ellen, is also an avid pigeon milker. She has cared for the youngsters until 2007. Health problems made it no longer possible for her to take care of the pigeons even longer. Joop quite a shortcoming because especially with the youngsters was virtually unbeatable. But fortunately she is still a great support for Joop. Joop's since childhood in the sport. A captured Belgian in 1962 proved the start of a glittering career in the sport. The "Belgian" was in fact owned by the most famous pigeon fanciers of all time: the Gebr Janssen from the Belgian Arendonk. With youngsters out of this bird Joop managed to get the National Youth Championship in. A better incentive can you as a beginning enthusiast barely imagine. Joop is actually his whole life was a successful pigeon fancier. Not a year goes by that he is at the champions. Especially the last 15 years, there is no stopping. Results chain on the conveyor belt and against the toughest competition. Both at regional and national level belongs to the toppers. Who garnered in the country over the years as many championships as he ??? On the basis of names here already many pigeon journalists bother to ask for Joop to the readership. Both at home and abroad Joop is a known phenomenon. I hope you will take the trouble to note the further content of this website. I wish you lots of reading pleasure.